As my 30th birthday is quickly approaching, it has become undeniable to me that I am becoming what I said I’d never be, out of touch. In my late teens and early 20’s I always said I’ll never get sick of the newest songs on the radio, I’d never hate the coolest new movies, I’d never watch the grown up shows and stick with the youthful casts on the popular shows etc. etc. etc. Well guess what. I can’t stand any of that stuff anymore. I got old, how did this happen. I even think about getting heartburn before I eat. Maybe I should ask for some Pepto Bismol for my birthday. Over the course of my life I went from a Fisher Price cassette player, to a ghetto blaster with cd and cassette, then a disman, car stereo with subwoofers, minidisc player, then an mp3 player. Now I have an iPod that I take with me everywhere. Something I could never have imagined when I was young. And even though I still have a lot of new music on it, it’s not the popular stuff. I’m so out of touch with popular music, when I watch music award shows I have to google the performers. I keep confusing Bruno Mars with Pluto Nash (the movie with Eddie Murphy). I’ve been introduced to so many new acts in my lifetime that eventually I just quit looking at them. When watching these awards shows I notice that some of the bands I loved growing up are still sitting in the crowd and possibly are up for an award. It comforts me that maybe I’m not so out of touch. Then reality sets in and they get a lifetime achievement award. I realized when they referred to the Red Hot Chili Peppers as “classic rock” on the radio, that I really am getting older. My favorite DJ is now 48 years old, The Fresh Prince has kids who are now famous, and U2 can get seniors discounts at the grocery store. And I’ve only talked about music so far. My first video game was Madden 92, now I play Madden 11. My second was Street Fighter II, now I play SF 4. Some things never change. Ive been asked why I can play football games even though I haven’t always watched actual football on tv. My only answer is that it’s no different from scoring perfect on every Guitar Hero song and not being able to play bah bah black sheep on a real guitar. It’s just fun to play. The progress these franchises have made is mind blowing, but the fun factor has not. I had just as much fun playing 16bit Madden where I used the same three plays to destroy the other team as I do playing it now in 128bit, 1080p, or whatever it is now, I lost track somewhere between Nintendo 64 and PS3. I thank god for game franchises like those because without them, I wouldn’t be a gamer anymore. Call Of Duty doesn’t appeal to me, give me Duke Nukem 3D. Warcraft isn’t my thing, give me a character sheet, some dice, and a dungeon master. I’m old school. I’ll still buy the new Madden when it comes out, but it’s because I’ve lived through that game for 20 years. I wanna be like Mario. The older he gets, the better he looks. Movies sure have changed over the years. My favorite trilogy recently had a younger brother trilogy, and it crapped all over him. A perfect example of how CGI has been abused by film makers. Not all film makers, but a select few should have their special effects privileges revoked. I’ll be the first to admit that some of the movies I loved as a kid were lame. But the level of lameness in some of today’s blockbusters is crazy. But don’t take my word for it, I’m an out of touch adult. I loved the original Teenage Mutant Ninja Turtles movie. Now I hear they plan to “honor” it by making another one. This time they are from space, and maybe just resemble turtles, but not actually turtles. Congrats Michael Bay, you just killed my hopes and dreams. What I learned writing this is that music is constantly evolving, video games are constantly improving, and movies are being recycled at an alarming rate. 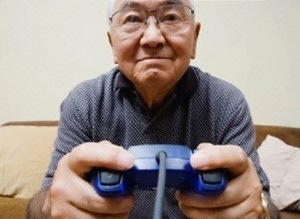 And most importantly, my age means nothing as long as I can still enjoy my outdated CDs, my cartridge games, and my VHS movies. All pictures from google pictures. ← Thank you for tasting my hamburger! Amen! as a person a decade beyond you, I recently found myself having this internal discussion as well, but while I no longer like EVERY new band that comes out, I do still like new music. And the movies? Man what a bunch of over CGI’d group that is. Transformers 3 was too explosion happy. I felt like I was Shia LeBouf’s character at the end of that and all I did was sit there for 30 minutes longer than necessary. Haha. This was great! 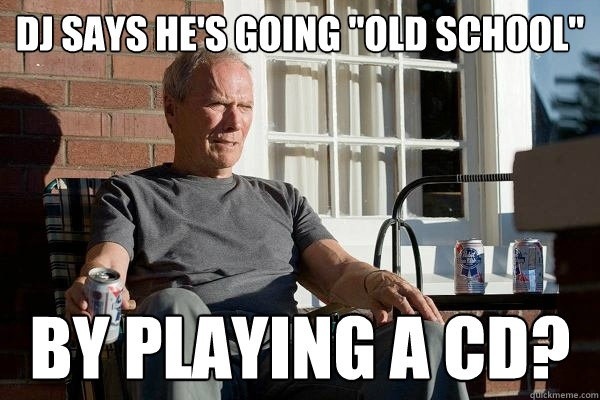 The Clint Eastwood Meme was hilarious, but so true! One day I hope to be as crusty as him. Well thank you for that, Brent! I now feel old and I’m a decade behind you! I hate most new music, I can’t stand the thought of CDs being obsolete, I miss the old shows! The shows nowadays are rubbish, the music doesn’t mean anything, and the movies are reruns!! What is this world coming to?? And I remember game boys before they were color. I’m seriously depressed now. But great post anyway! The movies are reruns. I totally agree. No fresh ideas, let’s just destroy an old classic, I hate it. Oh and I’m reblogging this! Bingo, he’d be better off making something original instead of wrecking a good movie. I’d forgive him if he gets Vanilla Ice to do a cameo though. HA! That would be fantastic. Great post! Even though I didnt go through what you are going through right now,I know the feeling of how the world around you changes. And Its not just your age which makes you stop and think for a while, there are other things too. Great post, enjoyed reading. weird at first then they will start to realize how cool you are because you refuse to grow old! 30 is not old because if it is…that means I am, God forbid, ancient! Old school video games were the bomb. While the graphics would make me dizzy now, I’d play them again any day! Ben 10, Mario Super Kart, Kirby Mass Attack has got nothing on Mike Tyson’s Punch Out, Contra, Donkey Kong and the original Mario. 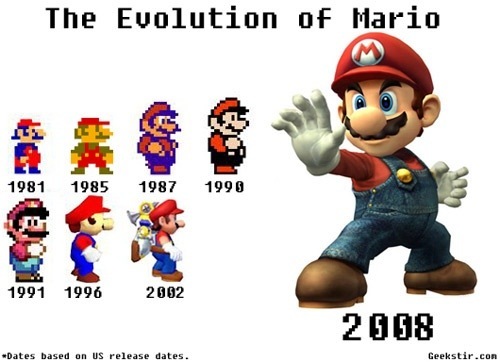 I can still remember making Mario kick the step 100 thousand times on some level so his life would be never ending! The game would go on for hours… Anyways, thanks for the trip down Memory Lane! You know you’re old when you have to ask your teenage kids to help with computer issues and how to use an ipod!! I have felt the same way for a good ten years now (and I have that much on you). Old school is good, but you gotta at least attempt to keep up with your kids…(if only to understand what the hell they are saying! If I didn’t say it before. congrats on the FP!! and after only 2 weeks too. I a way younger then you. 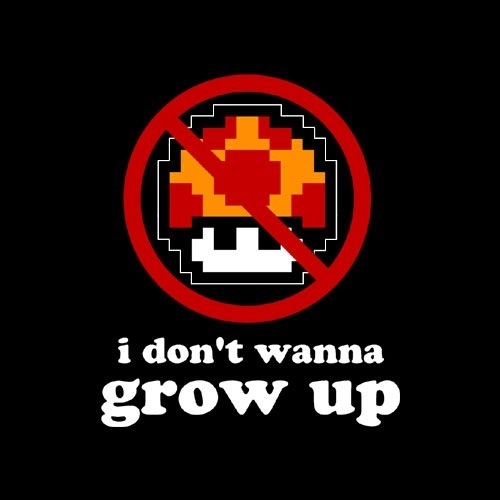 That would make me feel young, only i have no idea what you mentioned other then mario cart and cd. Now i feel old, just ‘cuz i like cds. This is hilarious, and it made me laugh, because it can be related to everyone. Enjoy, people!